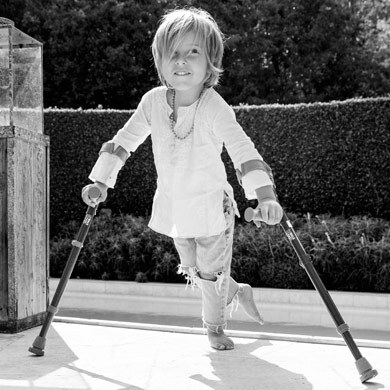 Taylor Stein was a jet-setting party girl who became one of the most popular figures in the ‘90s New York social scene. Taylor could get anything — and anyone — she wanted. All that changes when she discovers, in the process of adopting her son Ren, that his birth is part of an international baby trafficking ring. To stop the ring and win legal custody, Taylor goes undercover for the FBI. But her happy ending is turned upside down when 9 months after Ren’s birth, Taylor discovers he has a deadly disease called Spinal Muscular Atrophy (SMA), the number one genetic killer of kids under two. Determined to save Ren, Taylor vows to use whatever influence and connections she has to put SMA in the public spotlight, and to help push for a cure for the children and families struggling with this deadly disease. In the process, Taylor opens the door to a world she never imagined ... of children and parents who have turned the victim mentality upside down, and who have discovered that the tragedy they face is not a curse but a Magnificent Burden. Taylor’s journey takes her across America — from Utah to Michigan to Washington, DC — and transforms her from a single mom trying to save her son into a vocal figure in a movement to create awareness and pass legislation to help those suffering from deadly, disabling diseases. It’s a film about hope, possibility, and ultimate transformation. Rob Nelson first became nationally known as one of the founders of Lead or Leave, a political action group for young Americans. Lead or Leave was featured on 60 Minutes, Nightline, Good Morning America and The Today Show, and The New York Times called Nelson “one of the original Generation X spokesmen.” After graduating from Stanford Law School and holding an externship in the Clinton White House, Nelson went on to become a television and radio show host. Nelson has been the host of a number of television programs including The Full Nelson on Fox News, The Rob Nelson Show on Fox and ABC’s The Scholar. Nelson is the author of two books, Revolution X: A Survival Guide for our Generation, (co-authored with Jon Cowan) published by Penguin Books, and Last Call: Ten Commonsense Solutions to America’s Biggest Problems, published by Random House. 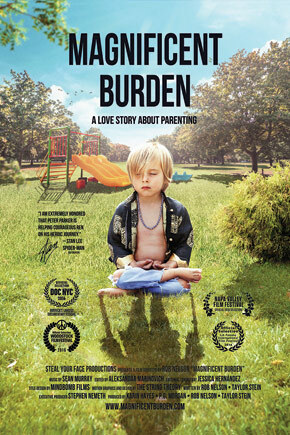 Magnificent Burden is Rob Nelson’s first film as a director.